Our interior decorators design elegant and timeless rooms that will leave you breathless! We have helped homeowners through the years create their dream homes and would love to work with you to create yours. Our store in Katy displays our unique style with custom drapery, furniture, bedding, accessories and more. We will help you find what you are looking for or we will give you ideas on what you can do with your home. Come see us today to pick up one of a kind home accessories! Harris County's Premiere Interior Designer BEST OF HOUZZ 2016 & 2017! Best Houzz 2016 Winner! Our goal is to help you love your home! Specializing in interior design, remodeling, and updating with almost 10 years of know how. Let us help you make your dreams come true with current colors, fabrics, and accessories or a complete tear down and re-do. We love to take your old and create something fresh, new and perfect for YOU! David & Rhonda Ferguson bring to the design world over 25 years of design & construction experience coupled with a business sense that has grown the company from a part-time venture in 2003 to a full service interior design & remodel firm. Our remodeling branch operates as D&R Custom Contracting. Rhonda is a member of ASID, NKBA, and NARI. Currently working towards CKBD status. David is also a licensed real estate inspector in the state of Texas and a registered remodeling professional with NARI. As project manager, he brings a highly qualified expertise to our remodeling projects. We can design and execute any remodel or new build required. 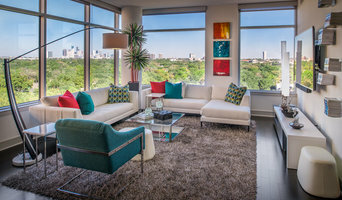 Houston's Award-Winning Interior Design Firm - 5x Best of Houzz! 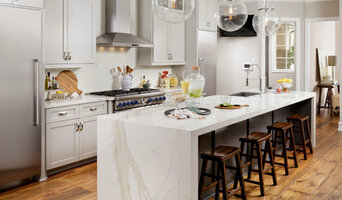 Marker Girl by Karen Davis is a full service interior design firm that creates comfortable, stylish spaces for the family with a busy lifestyle. I design “Family Friendly Interiors” by using suitable fabrics and furnishings, that stand up to “real life” living and do not sacrifice style for it. I also love to show my clients who they are as a family through the interiors I create for them, by taking personal and meaningful items and showcasing them in their home. So WHY MARKER GIRL? "My daughter was two and loved to color. One day, I had the mommy feeling of something is up. When I walked into our family room, I found her doing some decorating of her own with a black Sharpie, on herself and on my ottoman! After this I made the decision that I should decorate around my family’s lifestyle and work with my client’s the same way." To inquire about Karen's services please fill out our contact form at www.markergirl.com/contact so that we can schedule a time for you to speak to Karen. Our business hours are Monday - Friday 9:00am - 5:00pm. We will respond to any inquiries during business hours only. Caron LaMay has over thirty years of residential and commercial design experience in the Houston, Texas area. With an eye for design that was inherited from her mother and siblings, Caron has carried on the tradition of design in her family. While her own style is a beautiful mix of traditional, wordly, eccletic, colorful, and artistic influences, she has the ability to quickly discern her client's style, and integrate it into the overall design for their home...including paint colors, furnishings, fabrics, decorative items, and artwork. She enjoys working with clients long term, and is always keeping an eye out for that perfect entry table or decorative item. She has long standing relationships with the most qualified vendors and showrooms in the Houston, Texas area. In addition to her interior design work, she has extensive experience managing and assisting in designing large scale new construction and remodel projects. CDB Interiors is a full-service Interior Design company specializing in residential and commercial design working with single adults, empty-nesters, young families and commercial clients. Cheryl Baker, the Principal, is inspired by beauty and design, however the fuel behind her passion is the development of relationships. We believe great design hinges on an understanding of people and how they want to live and work in their home or office. This requires much more than just design experience. Our Mission is centered around livable spaces that are beautiful and reflective of each client's aesthetic and vision. A home is an intimate space and as such a collaborative relationship between the design firm and the client is crucial to a successful project. Sherry Millien, who has 20 years experience, is one of America’s premier Christian-based designers, is known for the unique, one-of-a-kind interiors she creates for prominent clients. She provides everything from project management and remodeling to space planning and furniture selection. Terravista Interior Design Group is backed by a team of some of the region’s foremost contractors, workroom specialists, painters, installers, cabinet experts, electricians, plumbers and other professionals and is expanding the full service business nationwide as well as concentration in the metropolitan Houston area. Sherry’s clients include Fortune 500 executives, oil company representatives, professional athletes, doctors, surgeons, business owners and other successful professional. A good home design professional will hone your style down to its very essence and be able to choose a functional layout that feels natural to you. Interior design companies can be involved as much or as little as the client desires. 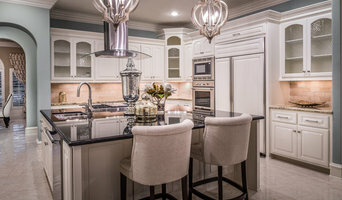 Many clients who hire an interior decorator in Katy, TX — particularly those who are remodeling — have a good sense of how the room should look and what products they should use. Often clients will insist that interior decorators use the products already present in the house. Other times a designer will need to start from scratch — especially if this is a newly purchased or just-built home. An interior design company will need to figure out exactly what the client needs, which includes organizing rooms, picking flooring and wall colors, and finding furniture to complement it all. Sometimes that means he or she will have to recruit help from other Katy, TX home professionals to help create the perfect look for your renovation. Here are some related professionals and vendors to complement the work of interior designers & decorators: Architects & Building Designers, General Contractors, Home Builders, Design-Build Firms, Photographers. Do your research before meeting with an interior designer or home decorator in Katy, TX. Ask yourself what you want your space to become and what it will be used for. Figure out the extent of what you need help with, what your must-haves are and what your budget is. Interior design services can add up fast, so be up front with a potential design firm or individual from the beginning. Also, pick an interior decorator that fits your style. Browse through the portfolios of different Katy interior design firms and decide if you would live in those houses. Just because you like something doesn’t mean you could live in it. There's a big difference! 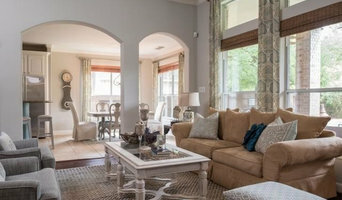 Find an interior designer or home decorator in Katy, TX on Houzz. Narrow your search in the Professionals section to find Katy interior designers near you. 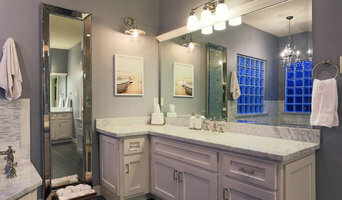 You can also look through Katy, TX photos to find a room you like, then contact the design firm who designed it.